Funny you should mention a live-action version of Batman – there was a recent failed attempt based on Birds Of Prey. It got cancelled, mainly because the execs screwed it up so much (they had a *real* problem with Oracle being wheelchair-bound), and also because they ignored the backgrounds of the main characters. 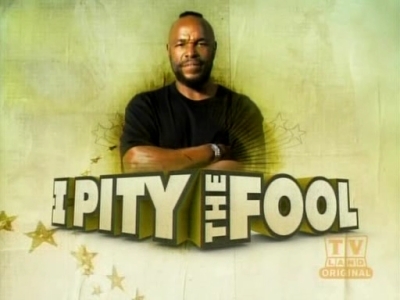 Don’t you go messin’ with Mr T’s country, fool. Try this link. Or, if you’re that sort of low-down, sneaky sort, there’s Bittorrent. wow, i think this COULD BE the Best Show Ever!! !